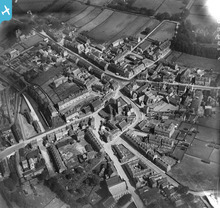 This shows the town before major 20th century growth. Note the fields surrounding the central part of the town. The various mills are largely out of sight, but are just a walk away.